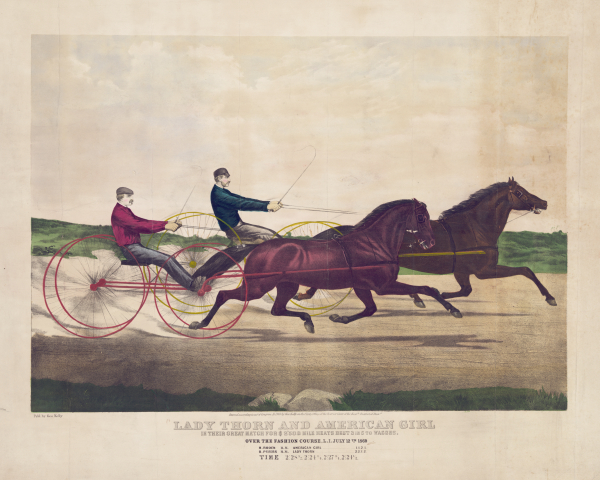 Description: Race horses Lady Thorn and American Girl "in their great match for execute,500 mile heats best 3 in 5 to wagons, over the Fashion Course, L.I. July 12th 1869." Long Island, New York. 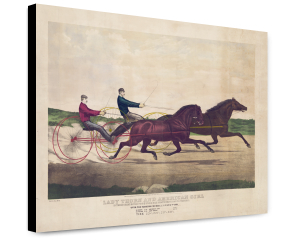 NOTE: Print shows discoloration and vertical creases that will appear on reproduction.